Floral Walls & Photo Booths! If you really want to add a fun, intriguing element to your wedding reception then we implore you to consider having your own photo booth paired with a beautiful floral wall. While many are familiar with photo booths, fewer are as acquainted with floral walls. As their name implies, floral walls are just that---a large leaning wall adorned in a rich blend of florals to create an amazing backdrop for photos. And lucky for you, we offer both services! We'll set you up with a fun photo booth session that is personalized to your exact wishes and while we're at it, we can create a floral wall to match! Capture the moment that only a photo booth can provide! Round up the wedding party, guests, family and friends and enjoy a fun session of photos personalized with props and more! 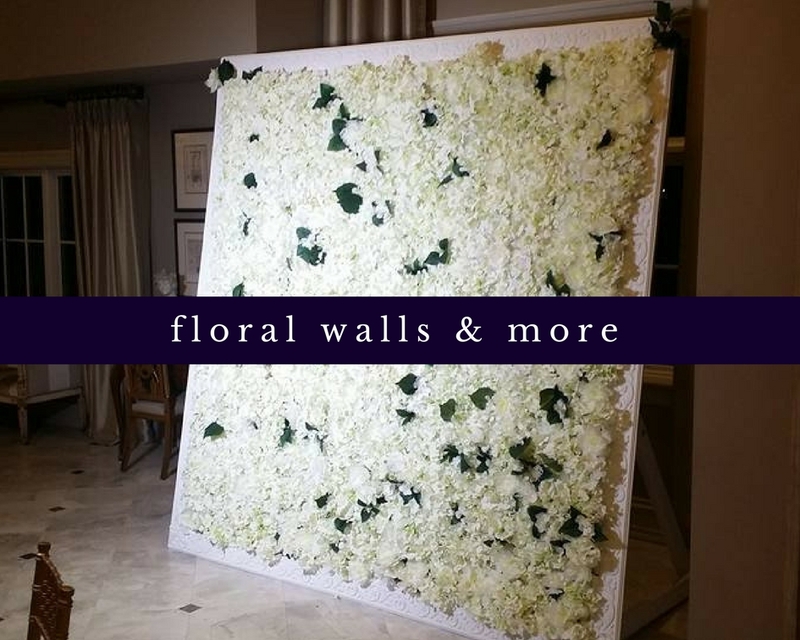 Get the best of both worlds when you pair your photo booth with a custom floral wall designed by us! We promise this unique backdrop will serve as the perfect scenery for your photos.